This Phobya power adaptor adapts 230V AC to 12V DC for your PC. 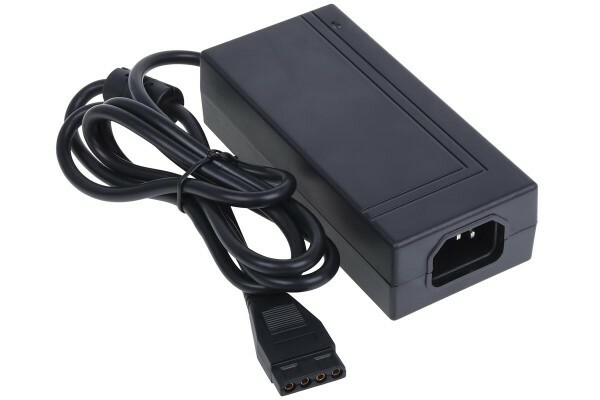 This small but powerful power adaptor fills the gap for everyone who likes to modify their PC, needs an independent power supply or simply wants to independently operate computer components. And that's only a small part of what's possible with this adaptor! The 4-Pin Molex connector allows the use of many adaptors and hence virtually everything used in a PC. And in complete silence at that: the adaptor is cooled passively! The input voltage range of 100-240V allows the adaptor to be used not only in Germany and the UK (adaptor included! ), but also in the USA, for example. All you need is the appropriate connection cable, such as one used for monitors or printers.